In some years elections bring about enduring changes to the American political scene. In 2006, a pivotal election year, the Republicans suffered a resounding defeat, losing the House and Senate for the first time since the 1994 "Republican Revolution." But what caused this pivotal shift? 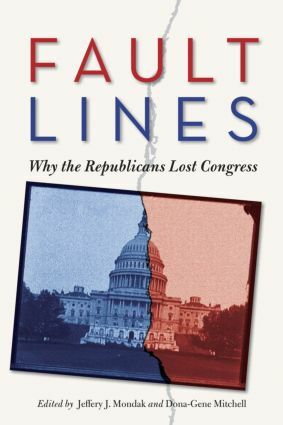 Fault Lines provides both a wealth of insight regarding what happened in the 2006 congressional elections and a framework to aid in understanding the possible significance of the 2006 outcome for subsequent developments in American politics. Contributors to Fault Lines, who all draw on the data from the 2006 Congressional Elections Study, include many of the nation’s most prominent and accomplished observers of Congress and congressional elections. This book promises to be an influential contribution to our understanding of Congress, congressional elections, the Bush administration, media and politics, political communication, and partisan polarization.